Recently I’ve been coming across news that encourage parents to read to their young children. It sets me thinking about the importance of reading to your child. I began reading to my son after he was 6 months old. Back then, he would just look at the pictures. If he managed to grab a board book, it would go into his mouth. He kinda chewed the book rather than look at it. Though I didn’t feel that he could understand what I was reading to him, I persisted as I felt that in time to come, he might begin to associate the pictures in the book with some of the daily objects from his life. Some have said that reading is one of the most important things a parent can do for a child. But maybe like me, you might be wondering why do parents need to read to children? You probably know that reading to your children is important and that there are benefits to early literacy. But what are some of the benefits? Okay, as your child grows older and you probably don’t get to cuddle him as much as a baby. Miss those tender moments? Reading would create the opportunities for your child to snuggle up to you. Both of you will enjoy some focused time together reading. It will take him away from his play and running, and you away from your smartphone, with two of you focus on a book, together. In future when your child is old enough and doesn’t need to be read to, you might even look back and view those early reading years as some of your best moments together. 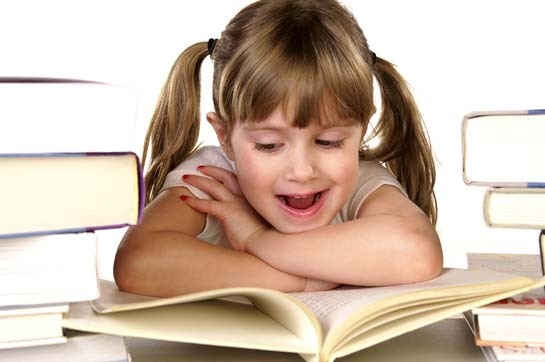 During toddlerhood and preschooler years, if a child is read to regularly from young, she will begin to associate sounds with pictures pointed from books, and later on with the printed words. This will go towards helping her to build up her language and listening skills. Kids who are read to from an early age before preschool, will have a higher aptitude to learning the different facets of education. If a child can read before they enter grade or primary school, they will have a better chance of grasping the concepts of different subjects taught, rather than struggling to understand how to read and how sentences are put together. If you read to your child often, over time books will be a familiar sight to her. What we adults know instinctively by now doesn’t come to a child innately. A child might not understand the basics of a book yet, unless you introduce her to it. By reading aloud and pointing under the words as you consistently read books to her, your child will learn that we read books from left to right, and that words are associated with letter sounds. Then you might even spot your toddler engaging in pretend reading, holding up a book and sound as if she is reading. Later, when she’s ready, she might even try to sound out words on her own. Storybooks contain different characters, storylines, and pictures, and children are introduced to characters, places and scenes that he might not see in his mundane daily life. Books can fuel a child’s imagination and bring him to places his feet might not be able to. Even when your child is old enough to read on his own, you can continue to read books beyond his reading level to him, as this will further stretch his reading skills. And by reading books based on his interests, it will further motivate him to read more, and continue to grow his imagination. Some children books are more reality-based. They might highlight scenes from daily lives and your child will learn to relate what’s happening in the books to her own personal experiences. Reading stories to your kid also help her to recognize cause and effect, and apply logical thinking in various scenarios to her own world. 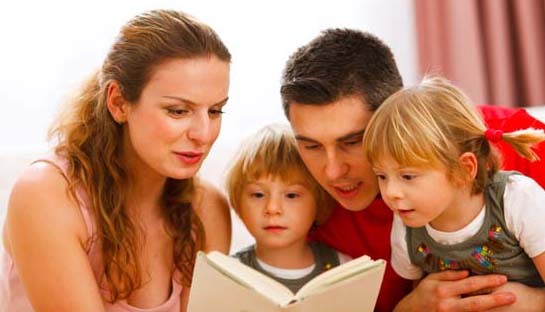 Reading stories together allow your child to ask questions about the story read. It also lets you ask your child questions about the story, to let you understand her level of reading comprehension. Instead of merely being stories, a book can become a conversation starter between you and your child. It gives you two something to talk about, and gives her more exposure to expressing her thoughts and enhancing her communication skills. For infants, their attention span can be very short. Hence, children board books with more pictures and a few words are more fun and suitable for them. As they turn into toddlers, you can move on to children books with slightly more words. Progressively, you can move on to books containing slightly longer stories when they become preschoolers. Helping your toddler or preschooler to build up a good attention span, and develop the discipline to sit through the duration of a bedtime story from young, would be beneficial in getting them ready for school. What we parents hope ultimately is for our children to develop a lifelong love of reading. Reading opens up a whole new world. There’s so much information and knowledge contained within books. Besides school, children can read to open up their horizons and gain knowledge on a myriad of subjects, interests and passions. For me, I hope to instill a love of reading in my son, and that he will choose reading a book over watching TV or playing games on a tablet in time to come. What are your thoughts about early reading to kids? Were you read to as a child and how has it shaped your life? I’d love to hear your comments. ← Is Your Toddler Ready to Learn Reading?